Although this post was published in 2014 and references are to that year’s list of nominees, the tips and recipes provided in this post can easily be used to create a comfy and classy Oscars party any time. This year’s Oscars race is tighter than ever. Who knows who will ultimately be the winner! I tell you what won’t be up in the air, my Oscars party! The date is on the calendar, invitations have gone out and the party plan is set. Over 40 million people around the world will be watching The Oscars and 10 of them will be at my house. This event is like the Super Bowl for fashion and movie lovers out there and apparently there are a lot of us! It’s the perfect occasion to have friends over, enjoy great food, do your best red carpet fashion critiques, laugh, drink champagne and all around have a great time – whether you’ve seen all the movies nominated or not. That is what a Go Epicurista event is all about. Many will choose to have fancy parties and dress up. This night is all about glitz and glamour so if you want to dress to the nines, go for it! 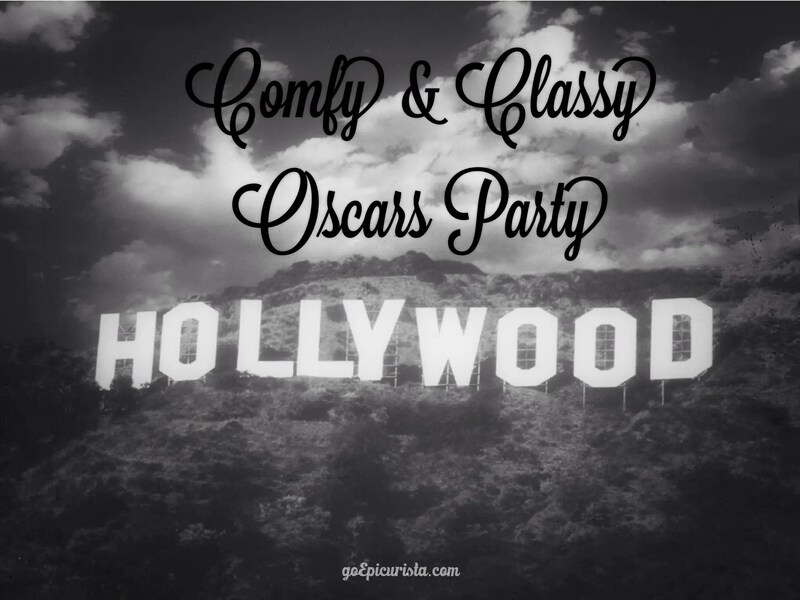 Personally, I choose to go the opposite direction for my “Comfy & Classy Oscars Party” It’s a long day and it goes pretty late into the evening, especially if the broadcast runs past schedule (the longest Oscars show telecast lasted 4 hours 16 minutes in 2002! ), so my choice for attire is my most comfy and classy PJs. Somehow, it feels much better critiquing the red carpet fashions in clothing with an elastic waist band. Ironic? Maybe. But as they say “it’s my Oscars party and I can be comfy if I want to!” (and by “they” I mean “me”). Being comfortable is always the best way to a good time. However, just because we are in our PJs doesn’t mean it can’t be a classy affair! That’s where the food and drink choices come in to the picture. Who says you can’t have a bottle of your best champagne while wearing PJs? I say #DrinkTheGoodWine and have your Oscars party be that special occasion you’ve been saving that bottle for, #MakeSomedayHappen. Since time is always in short supply, here is my party plan for this year’s Oscars Party to help you put your own party together in a few hours with very little effort. Feel free to copy it, change it, embellish it, take what you like and leave what you don’t. The main objective is for you to use this opportunity to get together with your friends and have a good time-sharing great food and drinks. You don’t need to go crazy with a huge elaborate soiree to do so, unless of course you want to! Email invites are the best for casual gatherings. They are easy, free and no-hassle. Paperless Post have classy templates for your “Awards Party” that you can put together in no time. “I don’t like playing games and having fun” said no one, ever! During the Red Carpet Arrivals, channel your best Joan Rivers Red Carpet Fashion Critic using small dry erase boards or paper cards to rate the outfits on a scale of 1-10. Determine who wore it best and pick your best and worst dressed celeb before the end of the show. Some say the Red Carpet Arrival pre-show is more popular than the actual show and it can make or break fashion designers and stylists. Check the next day gossip columns to see if your picks are winners. Don’t be surprised if they are not. Fashion-sense is all in the eye of the beholder and the beholder has strange taste sometimes. For every Lupita Nyong’o there are several Helena Bonham Carters! During the Awards Show: It’s time to bring out the Oscars ballot. This one is for fun, prizes and bragging rights! Print out the ballot and hand one to each guest as they arrive so they can select the winners prior to the show opening number. This year I‘m awarding the guest with the most correct guesses a bottle of bubbly. It’s the perfect ending for the evening. Pick your prize or just do it for bragging rights. It’s lots of fun either way! Pick up some inexpensive popcorn buckets to serve snacks and popcorn of course! Having a menu full of finger foods also eliminates the need for lots of silverware. One area you don’t want to skip on is your glassware. Wine and cocktails are meant to be drunk in a nice glass. I don’t want to miss one second of the action because you never know what can happen when the who’s who of Hollywood is together in one place. In 1974, a crazy and very uninhibited guy named Robert Opal streaked while David Niven was at the podium! And who can forget Roberto Benigni jumping over the seats in the audience when he won for Life is Beautiful and the stunned look on Halle Berry’s face when she was kissed by Adrien Brody when he received his Best Actor for The Pianist in 2008? I’m ready for wardrobe malfunctions, snarky expressions from the stars in the audience and any funny antics from host Ellen DeGeneres by selecting a combination of appetizers and finger foods that are easy to make ahead of time and can be finished off quickly during commercial breaks. It’s also great to add items from your favorite store or restaurant which are already prepared to keep your party prep load to a minimum and your Oscars party enjoyment to a maximum. This is one event where you don’t want to spend too much time in the kitchen. Since The Oscars telecast is like a 5 hour marathon, it’s also a good idea to space out serving different dishes. Slow and steady wins the race and keeps your guests happy through the night. For the menu, I like to select dishes inspired by the movies nominated, wherever possible. I admit, in some cases it’s a stretch. 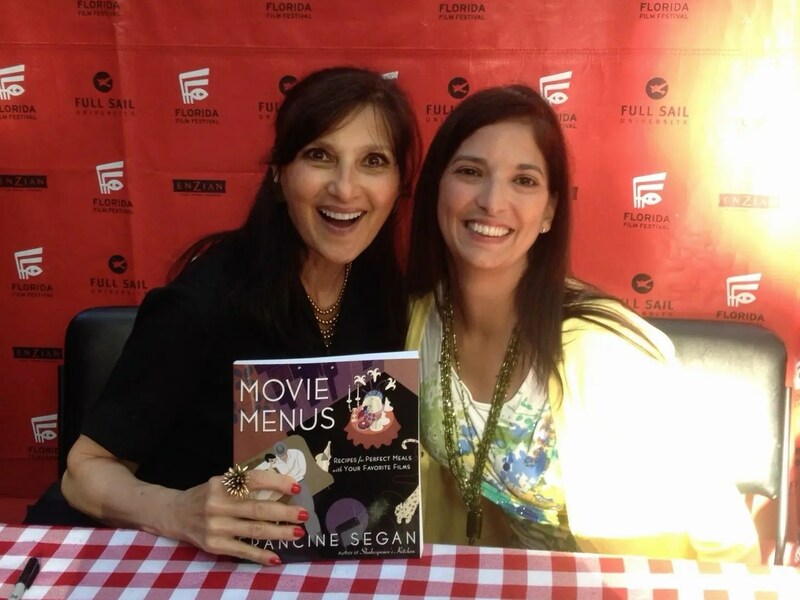 In 2014, the nominated films were riveting dramas but most did not have food-centric scenes or themes so I took some creative liberties and I hope you will just go on that whimsical ride with me. These dishes will work any year! According to the U.S. Popcorn Board, the “Cornhusker” State is the leading producer of popcorn in the United States. Popcorn is also the most classic of movie snacks so in honor of the movie Nebraska and its star Bruce Dern, we will be serving spiced popcorn. You can top popcorn with anything your heart desires. Mix salty and sweet, experiment, go crazy! 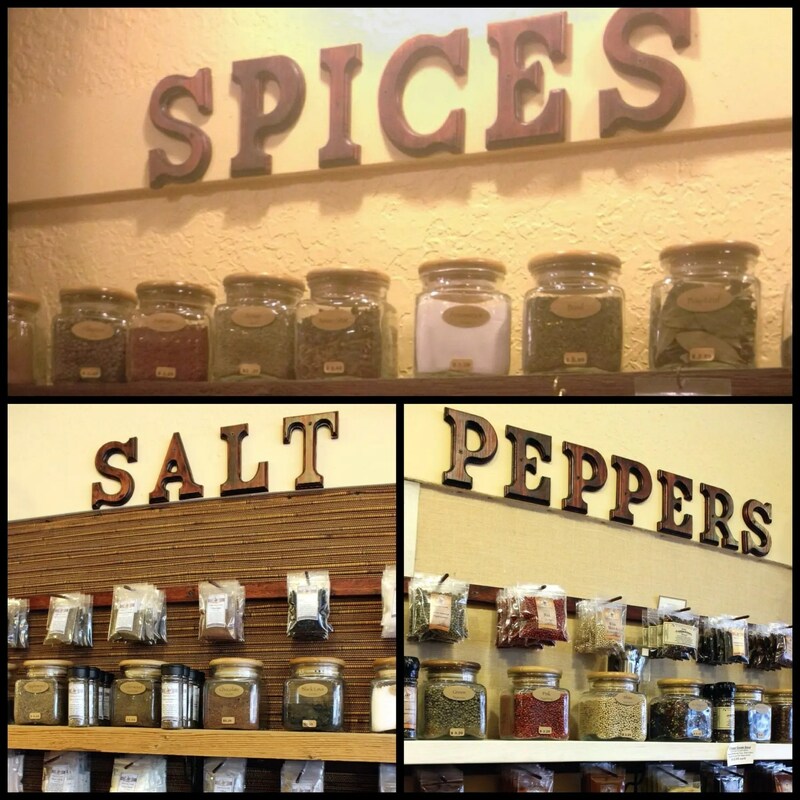 I visited The Spice & Tea Exchange and The Ancient Olive in Winter Park for inspiration on the fun combinations of oils and spices below. I recommend using plain unsalted popcorn so your spiced toppings really shine. You can cook it the old-fashioned way on the stove top or in the microwave, it’s up to you. Depending on how many guests and how many different types of popcorn you wish to make, plan on approximately one bag per 2-3 guests. Once popped, divide the popcorn into small paper bags, drizzle with 2 tablespoons of the oil or melted butter of your choice and toss to coat. Whatever combination of spices you choose, for best taste, don’t forget to add salt and some oil or melted butter for the spices to best adhere to the popcorn. The Millionaire: Truffle Salt, Tri-Color Pepper Blend, Fresh Grated Parmesan Cheese & Truffle Oil. The Chocolate Lover: Assorted M&M’s, Cocoa Powder, Kosher Salt & Butter. 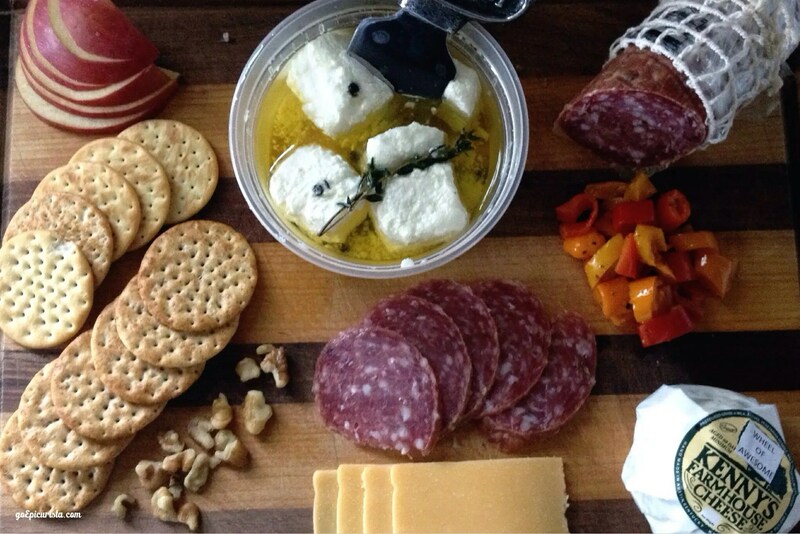 Inspired by the movie American Hustle and the Italian restaurant dinners between Christian Bale’s Irving Rosenfeld and Jeremy Renner’s Carmine Polito characters, stop by your favorite store for a variety of cured meats, cheeses, olives, artichokes, and peppers and arrange them on a pretty platter. If you’re in Orlando, La Femme du Fromage at East End Market and Whole Foods Market each have an impressive cheese selection. To prepare, use refrigerated crescent rolls, roll out and fill the separated triangles with various fillings of your choice. I am doing a variety including: Shredded mozzarella cheese & Spinach, Black Forest Ham and Gruyere Cheese, Pesto & Parmesan Cheese. You can prepare these ahead of time and have them on a baking sheet ready to pop in a 375 degree oven for 12 minutes or until golden. Do this during a commercial break and you won’t miss any of the action. Adjust your quantity based on the number of guests. Each pack makes 8 crescent rolls. I plan to make 3 packs for my party of 10. I wanted to honor Captain Phillips and its star, Tom Hanks, who did an amazing job portraying the real life titular hero, however, in this movie about Somali pirates taking hostage an American Cargo Ship there is no mention of food other than coffee and fruit which leaves lots of room for creative interpretation. I am preparing a chilled appetizer that can be made ahead of time featuring shrimp ceviche style on endive leaves used as a “life boat”. I can’t ever think of Tom Hanks without thinking of one of my favorite movies, Forrest Gump. And as Bubba would say “Shrimp is the fruit of the sea. You can barbecue it, boil it, broil it, bake it, sauté it…” and you can even make it into a shrimp ceviche! You could also use a white fish or scallops if you prefer. You may also add cubed pineapple for added fruitiness. Scoop mixture into separated Belgian Endive leaves and garnish with cilantro. You may also use Tortilla Chip Scoops instead of Endive leaves and top with a dash of hot sauce. To represent The Wolf of Wall Street and the extravagant lifestyle it portrays, order takeout from your favorite sushi restaurant and live it up! Unlike the excess in the movie, plan on approximately 7-8 pieces per person. Each sushi roll is usually cut in 6 pieces. This is an awards show tradition for me that started with my sister years ago and there is no better pairing than sushi and champagne on Awards Night. 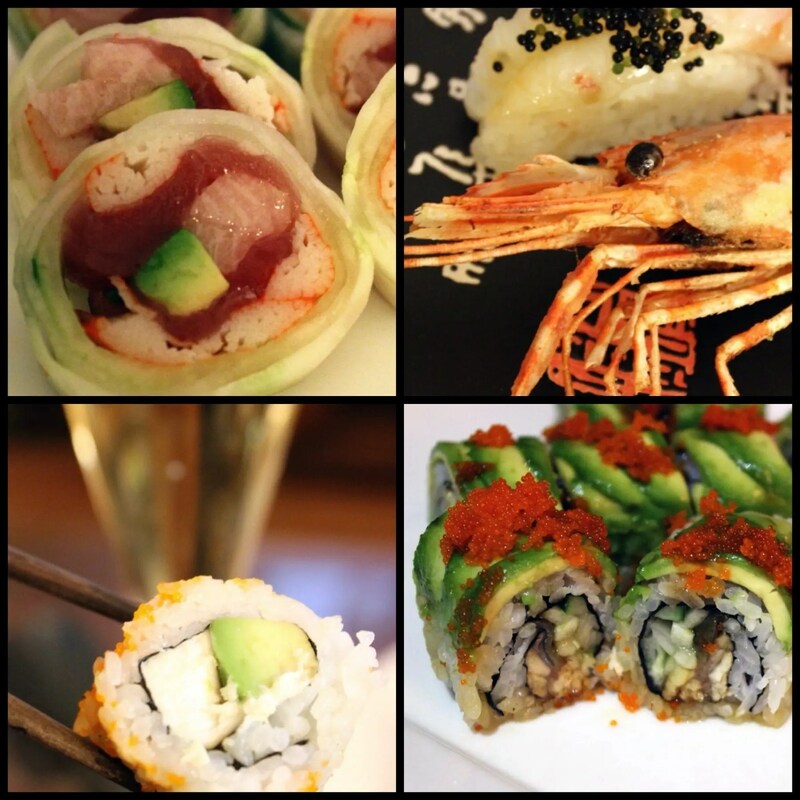 I order from Mikado Sushi in Hunters Creek, my favorite for fresh inventive sushi and friendly service. I love when a restaurant remembers my orders and that I like my shrimp heads extra crispy. I selected rolls that reminded me of the movie and the crazy and out of control lifestyle of Jordan Belfort, the lead character played so convincingly by Leonardo DiCaprio. The “Out of Control” Roll with fried shrimp and king crab, the “Crazy Roll” with spicy tuna and chili pepper on top, the “Dynamite Roll” with grilled white fish, the “Naruto Special Roll” with a cucumber wrap instead of rice, and the “King Lobster Roll” because who can forget the scene where DiCaprio is throwing lobsters at the FBI agents? 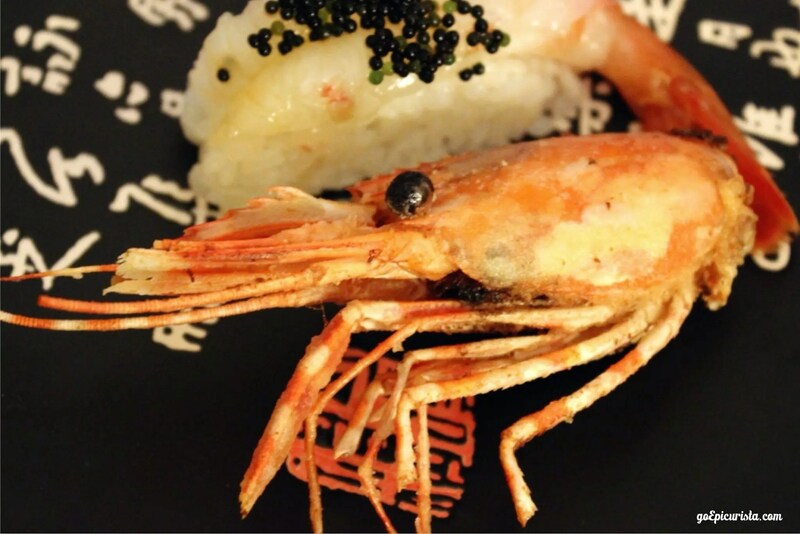 I also order a variety of nigiri sushi including Tuna, Mackerel and my favorite, Sweet Shrimp with the crispy shrimp heads. These will give your plate a beautiful presentation and you can pretend like you are on the show “Bizare Foods” when you bite into them. So fun! This year’s most incredible performances in the male categories came from Matthew McConaughey and Jared Leto in Dallas Buyer’s Club. In the film, Jared Leto’s character Rayon nicknames Ron Woodroof, McConaughey’s character, “Lone Star”. Inspired by Texas, we are making the Texas Sheet Cake, named for its size because it’s “a cake as big as Texas”. It is simple and so deliciously rich consisting of a thin layer of chocolate cake topped with a rich gooey chocolate buttercream frosting. You can use any chocolate cake recipe you choose. Here’s a delicious one from Ree Drummond, The Pioneer Woman. Of course, I can’t serve cake without serving ice cream and nothing is better than chocolate on chocolate, except adding caramel and nuts! 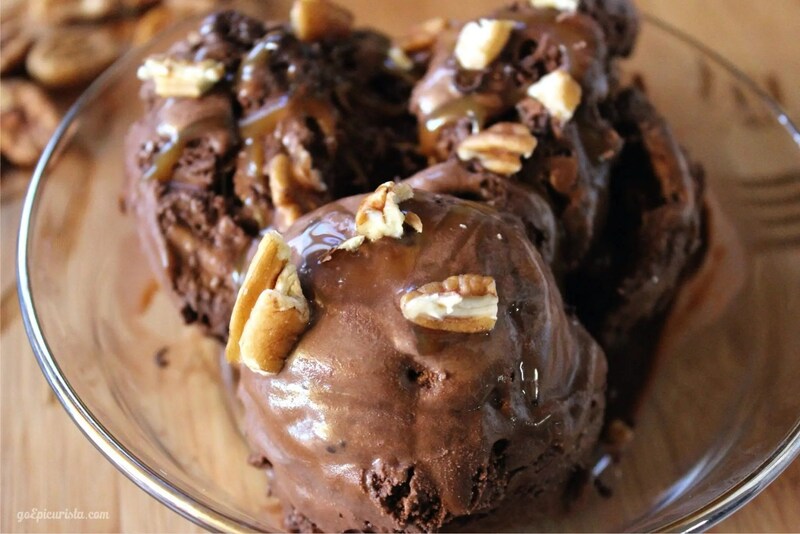 My choice is the Bear Claw ice cream from Publix, a dark chocolate ice cream with ribbons of caramel and nuts. 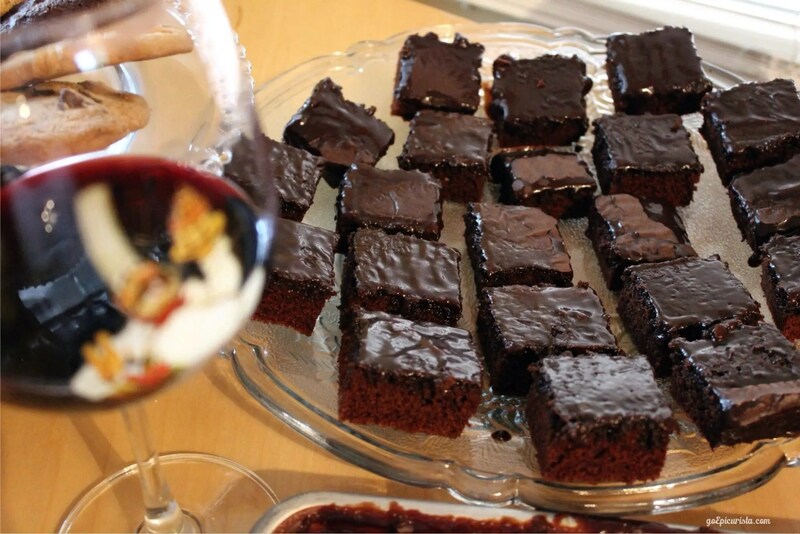 Pick up your favorite flavor or pair this decadent chocolate cake with a glass of your “best Cabernet” as Ron Woodroof would have done. 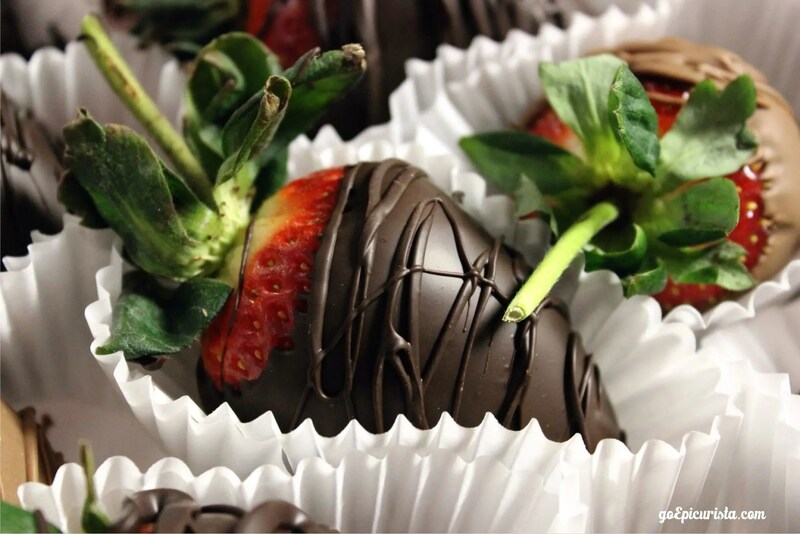 What girl doesn’t love chocolate covered strawberries or anything covered in chocolate for that matter? I think even a virtual girl, like in the movie Her with Joaquin Phoenix, would be totally in love with Peterbrooke Chocolatier of Winter Park’s Mega Chocolate Covered Strawberries. They are perfect just like the perfect girlfriend. 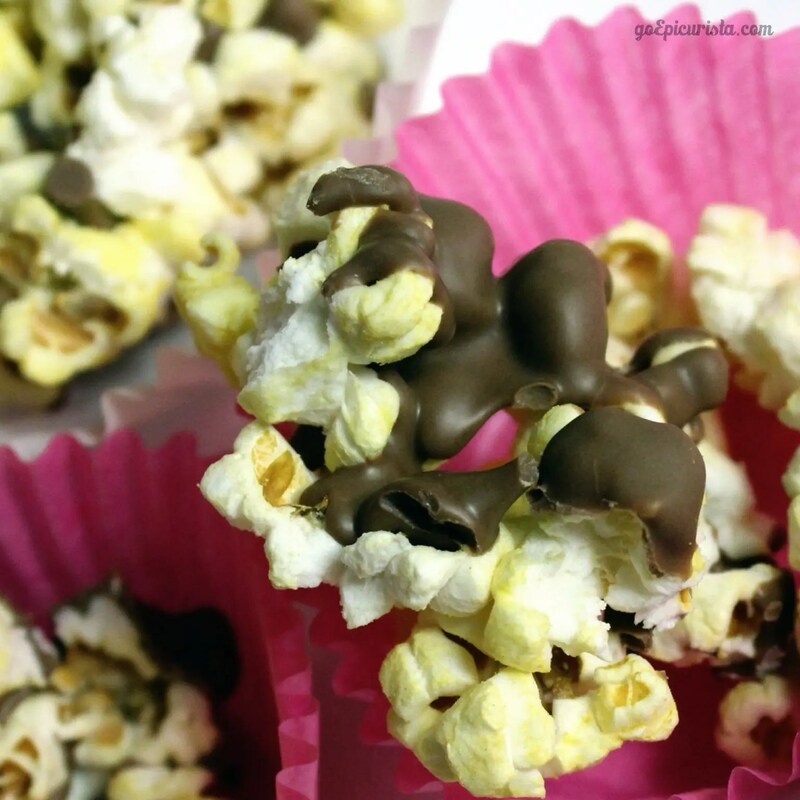 It is also fitting to have Peterbrooke’s most popular item, chocolate covered popcorn for this occasion, because it’s just so good, salty and sweet. You can make your own but why go through the trouble. Just stop by their store or order it online and they will ship it to you. It’s that simple, easy and so classy. The first time they served it was over thirty years ago at a big charity event and it’s been a hit ever since. 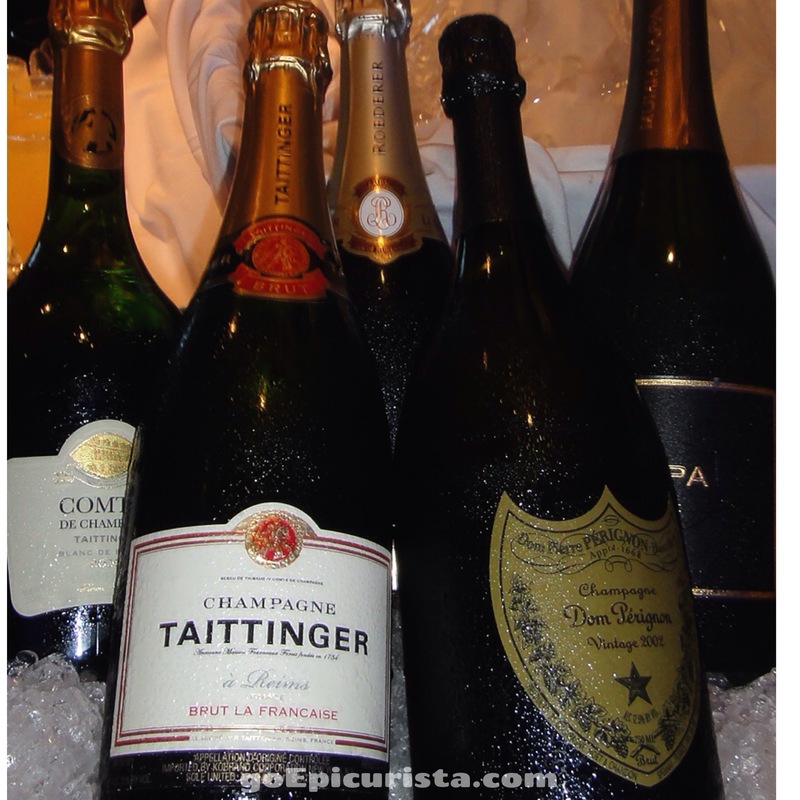 Sparkling Wine is a must for any award night party! Whether you choose Prosecco, a Spanish Cava, a French Champagne or a California Sparkling, it doesn’t matter as long as it’s bubbly. Open a good bottle if you have it, this is as good an occasion as any to #DrinkTheGoodWine! Today is a special occasion for bubbles! For a fancy welcome cocktail, offer a variation on the Buck Fizz cocktail served frozen. In the movie Philomena, Judy Dench’s lead character is offered a Buck Fizz on her flight from London to America and she loved it. The traditional cocktail is 2 parts orange juice to one part champagne (basically a mimosa with less champagne!). For this evening, I am making a variation with fresh Florida orange juice and peach nectar. You can use any juices you prefer. To prepare, fill ice-cube trays with a mixture of equal parts fresh orange juice and peach nectar and freeze overnight. When guests arrive, pop a fruit juice cube in a glass and top with sparkling wine. 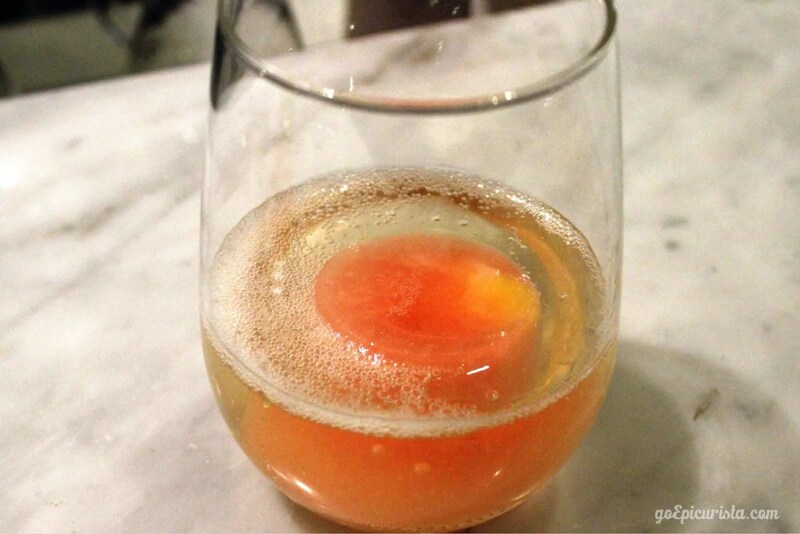 This cocktail idea came from our friends at Barnie’s Coffee Kitchen in Winter Park where they serve beautifully inventive sparkling wine cocktails. It’s delicious and looks so classy and fun. Serve a non-alcoholic version using sparkling grape juice or soda water for the kids and the designated drivers. The movie 12 Years a Slave was incredibly moving and my pick for best picture this year. The scene where the main character, Solomon Northrup, is mashing the blackberries in order to use the juice to write a secret letter is absolutely riveting. I was inspired to serve a Southern style cocktail with iced tea, muddled blackberries and vanilla bourbon. To prepare simply muddle a handful of blackberries, mint leaves and simple syrup in a shaker, fill with ice and top with iced tea and 2 ounces of Vanilla Bourbon, like Phillip’s Union Vanilla Bourbon. Shake and pour into your favorite glass. Garnish with fresh mint leaves. 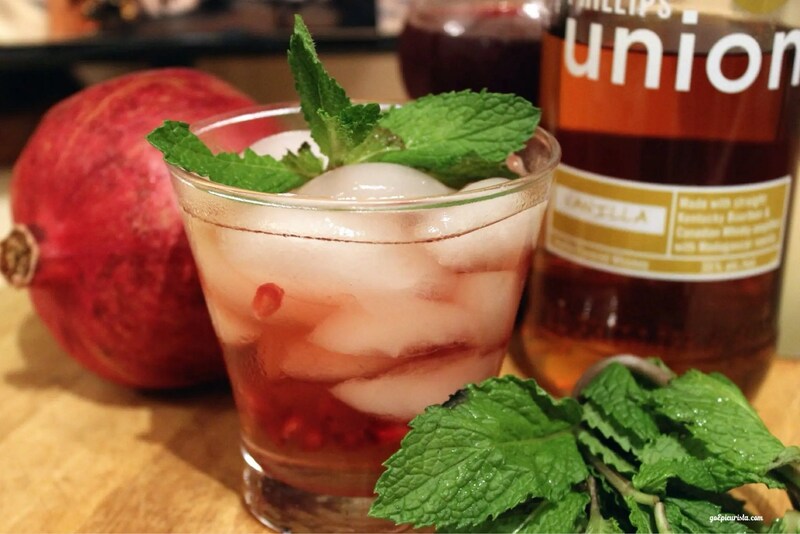 The picture below is using pomegranates instead of Blackberries and that’s what is so great about this cocktail. You can use other fruits like pomegranates, strawberries, blueberries or raspberries depending on what fresh fruits you find in your store. You can also omit the bourbon for the designated drivers non-alcoholic version. Well, there you have it. 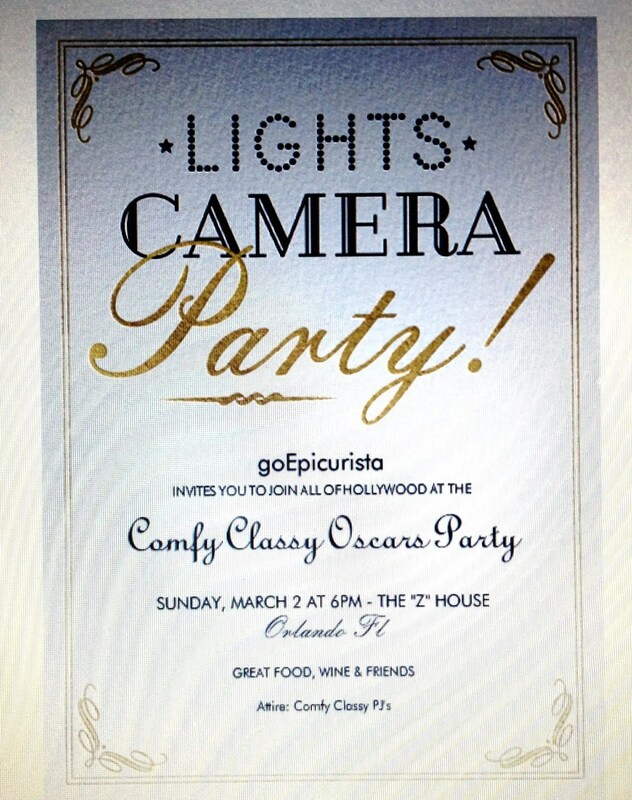 I hope I inspired you to invite some friends over and have your own “Comfy & Classy Oscars Party”. 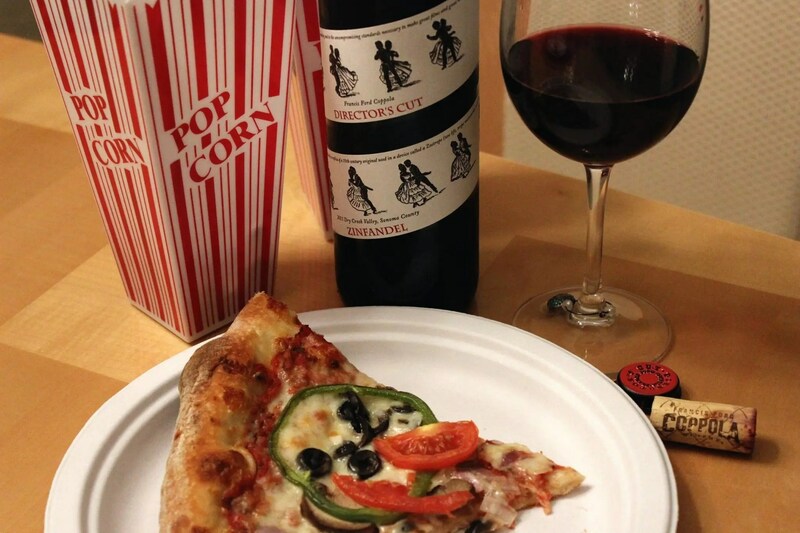 Since the main objective of our Go Epicurista gatherings is to get together with friends and have a good time, if you don’t have time or are inclined to cook, you can always just order a good pizza, pop some popcorn and open a nice bottle of wine. Great food, wine and friends is always the best combination. It doesn’t get any more comfy & classy than this! 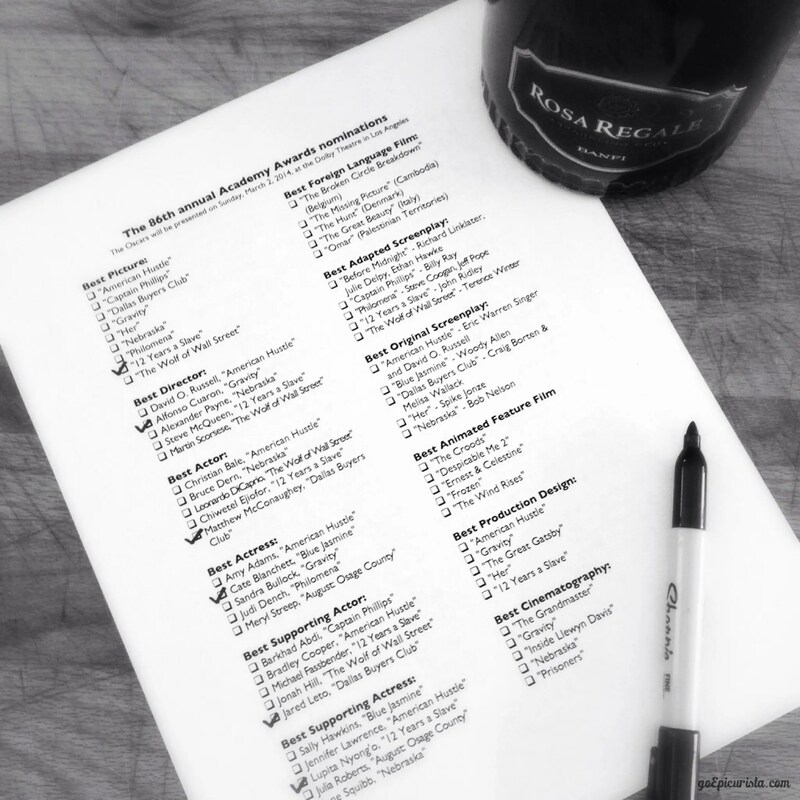 Use this checklist to make your party planning even easier! If you have any questions or need help with your party just post them in the comments or reach out to me via any of the social media links below. I’m here to take care of all the planning so you can just go and #MakeSomedayHappen with your friends. Let me know how you like to celebrate on Oscars Night. Disclosure: This post contains affiliate links which, at no cost to you, provide a small commission to help defray the costs of our site when you make a purchase. As always, I only share with you experiences worth celebrating and products I use and love. Thank you for your support by using the links provided. Cheers!